As savvy franchise companies continue to flourish in this challenging economy, FUSR will bring you Good News each month, highlighting brands that are adding units, increasing comp store sales, striking deals with investors, and continuing to grow - despite the economy… maybe even because of it. And as the U.S. economy struggles through its "jobless recovery," growth-oriented franchisors continue to look overseas for expansion opportunities through master franchise deals. Checkers Drive-In Restaurants opened more than 35 new restaurants in 2009, a 70 percent increase over 2008. The new locations are in markets including New York, Florida, Michigan, and Indiana. 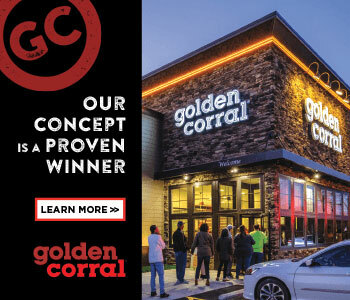 With 820-plus Checkers and Rally restaurants in the U.S., the company is seeking additional expansion in Baltimore, Philadelphia, Las Vegas, South Florida, Orlando, and Atlanta, through development agreements ranging in size from 3 to 10 units, along with singl- unit sales and conversions into single and double drive-thru locations. Sports Image, a high school sports marketing brand, has awarded its fourth franchise, to Mac and Julia Yocum of Frankfort, Ky. Its three other franchisees are in Atlanta, Huntley, Ill., and Palm Bay, Fla. "We are on pace to have 15 franchises operating across the country by the end of next year," said Eric Horstman, company president. Sports Image, founded in 2003 in Franklin, Ohio, began franchising in May 2009. Health and wellness franchise LaVida Massage will open new locations in Troy, Mich.; Naperville, Ill.; and Mandeville, La. All are scheduled to open in December. In Troy, about 25 miles north of Detroit, franchisee Mark Axler was an information technology professional who was laid off after 20 years. LaVida Massage, based in Howell, Mich., and founded in 2007, reported "an extremely successful year." Massage Envy recently opened its 27th location in the Dallas-Fort Worth area. The newest location is north of Dallas in Frisco, Texas. Founded in 2002, Massage Envy has awarded more than 800 franchise licenses, with 620 locations open in 40 states. A new studio nearly twice the size of a traditional Elements Therapeutic Massage unit is set to open in Fountain Valley, Calif., with 12 massage rooms offering six types of therapeutic massage. Kelly Berman and Deb Greene, co-owners of the new studio, also will serve as area directors to grow the brand to 20 more locations from Santa Barbara to San Diego. "While the economy is struggling, our business is thriving across the U.S. as more people turn to massage therapy as a way to relieve pain and stress in their everyday lives," said Kyle Gjersee, the brand's COO and SVP. Since beginning to franchise in 2006, the company has opened 77 locations in 21 states. Elements, based in Highlands Ranch, Colo., is owned by Fitness Together Holdings. A former Bennigan's in Boston's theater district is being converted into the city's first Vapiano restaurant, a fast-casual European concept serving made-to-order fire roasted pizzas, fresh, house-made pasta, and hand-tossed gourmet salads. Alfred Keilen, who relocated from Germany to Boston earlier this year with his wife and three children, is the franchisee. "I was originally a CPA in Germany with Vapiano as a client, so I am familiar with owning my own company and was able to see firsthand the upside of the Vapiano business," he said. Add a love for Boston, and Keilen is set to open the 5,400 sq. ft. restaurant. The brand, with 50 locations worldwide, has franchised units in development in Dallas, San Antonio, Austin, Houston, Chicago, Manhattan, and Fort Meyers, Fla., and is targeting several large U.S. cities for corporate expansion. Stratus Building Solutions has awarded a master franchise for Northern California to serve Modesto, Stockton, Marin, Santa Rosa, and all nine counties in the Greater Sacramento area. Stevan R. Butcher, president of Stratus Building Solutions of Northern California, based in Roseville, is the new master franchisor. He previously founded and was CEO of Apex Medical Waste Service. In May 2009, Stratus Building Solutions of Canada was established to serve all 10 provinces; and in September, the company established a new master franchise in Lithuania. Founded in 2004, Stratus Building Solutions has operations in 22 states, Europe, and Canada. Gross sales for Just Between Friends, a consignment franchise concept, are on track to top $10 million in 2009, up from $6.8 million the previous year, the franchisor reports. The concept describes itself an "unusual business model" in that franchise owners have two to three big sales events a year. The model: local families sign up as consignors to sell their new and used children's and maternity items; and the franchisees provide the venue and promote the sale. The brand began in 1997 in Tulsa, when founders Shannon Wilburn and Daven Tackett invited 20 of their friends to be consignors at their sale. In 2003, they formed Just Between Friends Franchise Systems, Inc. and began selling franchises. They now have 97 franchises in 20 states with 10 more under development. With its flagship location in Charleston, S.C., Wee Little Arts, a preschool visual arts education program, has begun offering franchises nationwide. The concept was founded nine years ago by certified school teacher and art education specialist Melissa Bradshaw. The first five investors can take advantage of a discounted franchise fee of $19,500. After that the franchise fee will range from $24,500 to $29,500. Spoon Me, a green-themed frozen yogurt brand, has opened its 11th store, in Meridian, Idaho. The first Spoon Me opened in October 2007, and the first franchised location opened in March 2008. Based in Salt Lake City, Spoon Me also has stores in Utah, Arizona, and Canada. For more on this brand, see www.franchise-update.com/article/836/. In-home service provider, Seniors Helping Seniors, has opened its first franchise in Iowa, in the Greater Des Moines area. Franchisee Heather Deering spent 20 years in the insurance industry before signing on. The brand also established its first franchise in Indiana, to serve portions of Marion and Johnson counties. The Indianapolis franchise is owned and operated by Sandy and Carl Lowe. Sandy spent 20 years as a legal secretary and 14 years in real estate sales/marketing. Carl has been involved in the building industry for 29 years. Seniors Helping Seniors has 10 regional owners and more than 80 franchise territories nationwide. Pizza Patrón has signed a multi-year contract extension with the American Airlines Center (AAC), home of the NBA's Dallas Mavericks and the NHL's Dallas Stars. Extending an agreement that began last year, the deal makes Pizza Patrón the AAC's exclusive pizza vendor through September 2015, with an option to extend the partnership at that time. Founded in 1986 and franchising since 2003, Pizza Patrón operates 95 stores in six states (about 93 percent franchised), with more than 40 more under development. The brands is targeting 750 stores nationwide within a decade. Look for the first Freshii store in Houston in early 2010, with 20 or more expected to follow as part a recently signed master franchise agreement. The franchisees are husband-and-wife team Javier and Teresa Bueno, who own Third Coast Produce, a $50 million produce distribution company that supplies Houston-area restaurants. "Houston is a top-tier target market for Freshii, as the fourth largest metro in the U.S.," said Freshii CEO Matthew Corrin. The brand, which started in Toronto and is now headquartered in Chicago, has opened 16 restaurants in the U.S. and Canada and has another 100-plus in development in New York, Chicago, Washington, D.C., Colorado, Los Angeles, and Eastern Europe. Frozen dessert in the desert makes a good deal of dollars and sense to brothers Saeed and Masoud Kalafchi, who have signed a master franchise agreement to open 14 units in the United Arab Emirates. The first will open in Dubai in the first quarter of 2010, followed by a store in Abu Dhabi. Operating as Tasti D-Lite UAE, the brothers will parlay their experience in their Gulf Region family business, which employs more than 1,000. Since launching its franchise program in 2008 Tasti D-Lite has grown to more than 50 locations and has commitments to open more than 300 locations. Internationally, the company has a presence in South Korea, and as part of a master franchisee agreement for Mexico, will open its first location in Mexico City before year-end. Century 21 Real Estate recently held a grand launch event in the Czech Republic. The Czech management team has granted 38 franchises since first entering the Czech market in November 2008. "The Czech Republic is one of the most stable and prosperous economies in Central Europe," said Century 21 Real Estate President and CEO Tom Kunz. Century 21, a subsidiary of Realogy Corp., has more than 7,800 independently owned and operated franchised broker offices in 67 countries and territories worldwide.